Londonderry will welcome seven cruise calls and 4,200 passengers in 2018, with numbers surging for 2019 to 15 ships for Foyle Port. Visit Derry has formed a partnership with Foyle Port to develop a cruise strategy to attract ships, working on the destination experience and presenting the port’s offerings to itinerary planners, said Aoife McHale, business and leisure tourism officer for Visit Derry. Pierside, shuttle busses provide regular service to the city center for guests not partaking in shore excursions. Part of 2019’s business uptick comes on the heels of the British Open golf tournament, with calls scheduled from Azamara and Sea Cloud, with the Royal Portrush Golf Club just an hour away from the port. “Our major selling point is our geographic location in the North West of Ireland, the historic Walled city of Derry Londonderry ‘Where the Wild Atlantic Way Meets the Causeway Coastal Route,’” McHale said. Also new, the port is pursuing funding to develop a new berth at Greencastle, and a tender port in Co. Donegal. Initial indications are positive, according to McHale. “Whilst this is a medium to long-term vision, we are also in the process of implementing some short-term investments including the acquisition of a new pontoon which will accommodate additional tenders with increased holding space for coaches. The new pontoon will be ready for the 2019 season,” she said. McHale said cruise ships could call on both Derry and Belfast and provide diverse shore excursions in each port. 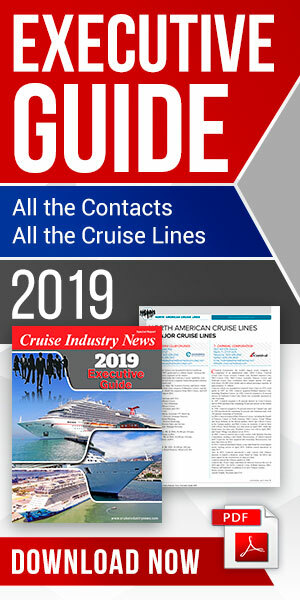 “A further benefit is that by programming a network of ports within close proximity the cruise lines can save on fuel costs and yet still offer a wide range of shore excursions to sustain a seven- or 10-day cruise,” McHale added. Should infrastructure development get the green light, McHale has a target of 50 cruise ships annually.